¶ 3 Leave a comment on paragraph 3 0 Spanish Harlem Incident gets my vote for the most underrated Dylan song ever. Is it a masterpiece like Rolling Stone? Of course not. But it is a little gem that absolutely deserves a lot more respect than it gets. ¶ 4 Leave a comment on paragraph 4 0 First, a little history lesson. Non-US residents may not know that Harlem is one of the five boroughs of New York City. 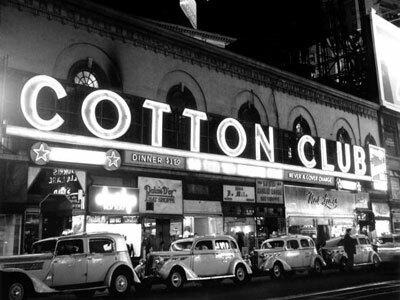 The culture that evolved in Harlem in the early 20th century has had a major impact on American life, especially in literature and jazz music. Langston Hughes, James Baldwin, Duke Ellington, Billie Holiday, just to name of few, all played a role in Harlem’s artistic renaissance. ¶ 5 Leave a comment on paragraph 5 0 Harlem has also been the home of many immigrant cultures. Around the turn of the 20th century East Harlem was primarily the home of Italian immigrants. In the 1940’s many Puerto Rican immigrants moved into the area to work in the burgeoning industries located there. One section of the area eventually became known as Spanish Harlem. ¶ 6 Leave a comment on paragraph 6 0 Forget about liner narrative and logical imagery in this song. The plot is sketchy, some of the images make little sense – such as her “rattling drums” – and some of the lines don’t fit into the meter of the stanza. But it makes no difference. These ‘deficiencies’ actually work to the song’s benefit. ¶ 7 Leave a comment on paragraph 7 0 John Gibbens, in his book The Nightingales’s Code, captures the essence of the song better than anything else I’ve read. Gibbens writes that the song captures the moment “when Eros strikes”, which strikes me as just what the song is trying to communicate. Dylan commentator Tim Riley says that the lyric is full of “loopy love-struck detail”, also an excellent description. ¶ 8 Leave a comment on paragraph 8 0 Incident is a picture of an emotional state at a particular point in time. It’s an abstract painting, and a particularly effective one. It reminds me of many Ann Beattie short stories – short and perfectly measured. ¶ 9 Leave a comment on paragraph 9 0 The performance on the album, which was recorded in one take, is absolutely wonderful. Dylan sings it especially well, bringing out the emotion of the lyrics, capturing the exuberant feeling of new love. ¶ 10 Leave a comment on paragraph 10 0 Dylan has only performed the song once live, in New York City in 1964. ¶ 12 Leave a comment on paragraph 12 0 Fun to listen to, but an inferior outtake. ¶ 14 Leave a comment on paragraph 14 0 The Byrds did a cover version. ¶ 16 Leave a comment on paragraph 16 0 Dion, long ago teen idol. Pretty good. I got to know, babe, will you surround me?